A picture is worth a thousands words. So, I'm going to let this rather special Migraineur Of The Month, Miss May (whom some of you may know as The Migraine Chick) tell you her story in her own special way. 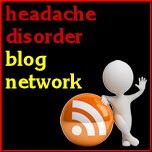 In 2007, I started my migraine blog ‘MigraineChick' to document the consequent craziness that had invaded my life with having chronic migraine. I had always wanted to be a writer since I was little, and I even got my bachelor’s degree in English/Journalism, but in 1999 my chronic migraines started with no relief in sight. They just kept getting worse and I started losing my ability to write. 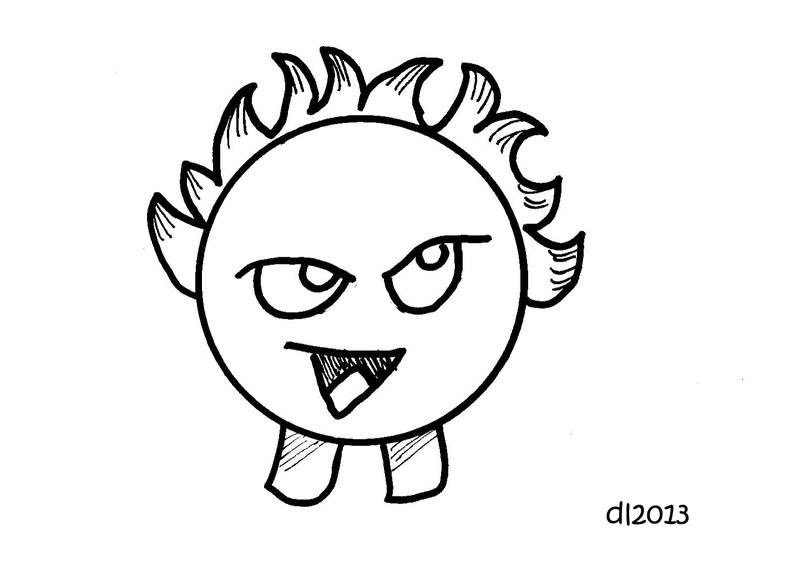 By the time 2010 came around, I was searching for a new creative outlet. At first, I started taking photographs and making collages because I thought I had no drawing ability, but I started doodling as a pain distraction measure. I found it a great comfort because it made the pain seem to back off. 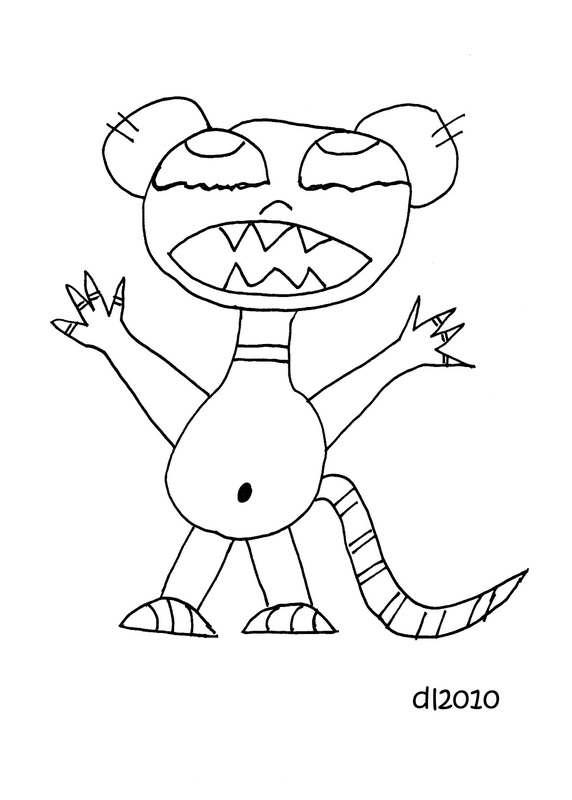 With the pain distraction in mind, I bought some “how to draw” books and I started creating my own little "Migraine Monsters." I’ve always found my migraines to have a lot of variations, so I tried to show the different natures of a migraine through my creatures. 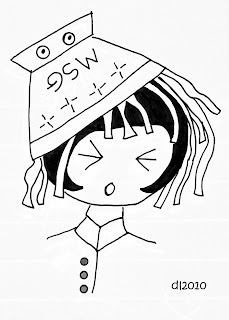 As I started to draw better, I began creating my “Migraine Girls," (see below.) They were cartoon girls who were trying to express all the emotions that go along with having chronic migraine. 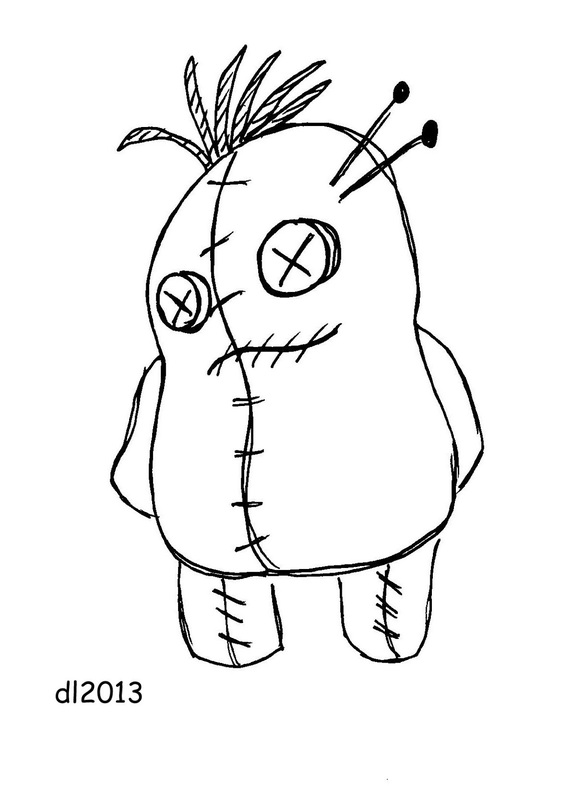 With 2012 coming to a close, I found myself returning to my migraine monsters because I felt I could do them more justice with my improving drawing skills. I wanted to give them more individual personalities with better details. 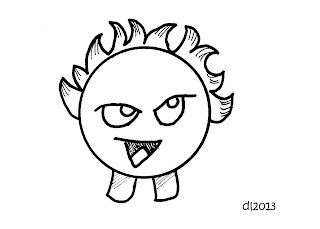 so I drew this little guy." making it feel like it's on fire during a bad migraine." I find that drawing is my favorite comfort when it comes to chronic migraines. It distracts the pain for me. It gives me a sense of accomplishment and I’m proud when other migraineurs say that they like my drawings and they can relate to them, or they made them smile. Wow. 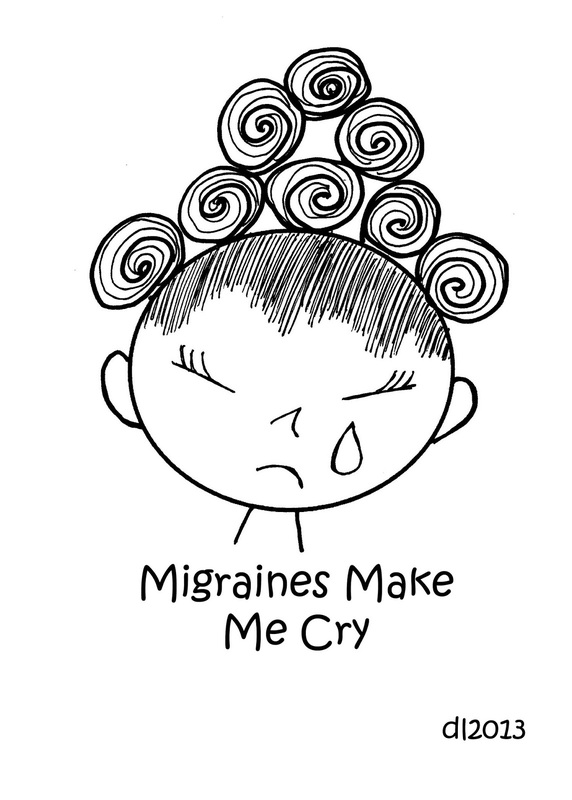 One of the many, many things I love about these drawings is that they're so deceptively simple; yet they totally get to the core - and bring to life - many varied aspects of migraine. 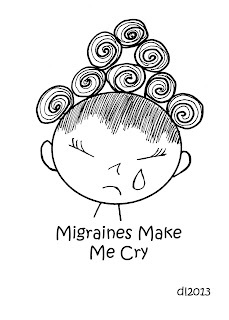 The Migraine Chick often puts up new drawings and I always find them incredibly evocative - plus I love that they provide comfort for you (migraine chickie), too. And yes, they often make me smile. Thank you for sharing them with us. 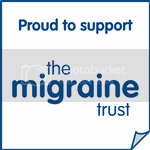 The migraine chick was nominated by @Infiniteknot who said: "I am so very happy to nominate MigraineChick for a spot as an amazing blog resource for people with migraines. I stumbled across her blog as my migraines went from episodic to chronic a few years back - and it was so reassuring to be able to read about someone who was going through the same thing (debilitating pain, struggling at work, dealing with all of the symptoms of migraine) - she gets daily migraines. Also, she is an Amazing and Phenomenal Artist. 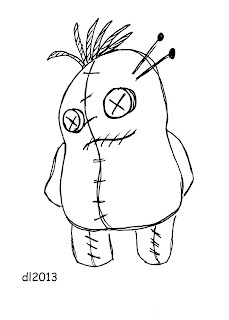 She was creating collages when I first started reading her blog (some of them about migraine) but now she actually draws her own art (see her latest migraine monsters). 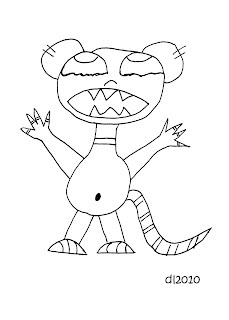 I am always incredibly impressed and awed that she is able to use art to help her cope with chronic daily migraine. She is a continual inspiration to me to keep positive when living with migraine." Migraineur Of The Month just get in touch! Contemplation beforehand . an exception to this rule with quite a few policies.